STRUSS AMPLIFIERS – Listen to more….. The "Struss” brand became famous at the market 17 years ago. But that moment was not the real launch of the company. The founder and chief designer of Struss Amplifiers, Zdzisław Hrynkiewicz - Struss went for the Rolling Stones concert in Warsaw in the 60's and that day changed his life. Willing to relive the concert experience at home, Mr. Struss, who heard the Rolling Stones concert, began designing audio amplifiers. Many years of research followed from the passion for music and the desire to aim at something that was not previously available on the market. 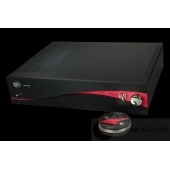 The company has offered the following amplifiers: Struss 01-2, Struss 140, Struss Q since 1995, as well as the Struss Chopin amplifier, which was received particularly well by the market and was produced in various versions until recently. We cannot fail to mention the Struss R500 amplifier, which was the culmination of all previous research, ideas and patents of Mr. Struss. This amplifier was produced on demand, setting a new threshold for the integrated reference amplifiers (Dual Mono). Over the years, the company went through its ups and downs, but at the same time it consistently increased the number of its loyal customers and fans. And that's what convinced Mr. Struss to introduce a new project. Zbigniew Dyśko, a new investor and owner of Struss Amplifiers, impressed by Mr. Struss’s designing talent decided to support the company financially and with his business experience. Mr. Zbigniew Dyśko has worked for many years in the corporate world within a non-audio sector, but he contracted the passion for music a long time ago. Being an owner of the Struss Chopin amplifier and having the opportunity to use the R500 reference amplifier, he motivated the designer to work on new designs of the Struss amplifiers. New image of the company at the market, development of the sales network in Poland and Europe, and, most of all, new products offered by the company – these are fruits of more than one year co-operation of these two gentlemen.